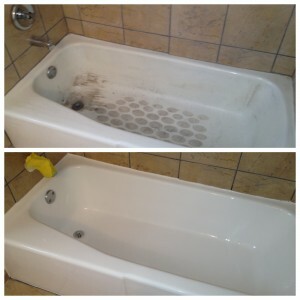 We make your old tub or tile look like new without the cost! 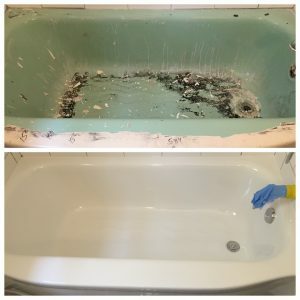 Our unique product and process in refinishing bathtubs & tile can transform your bathroom to look like new. There is no more ugly grout, caulk, mold or mildew. It is easy to keep clean – just wipe with a sponge & you’re done! Once your bathtub, sink or tile is refinished, you will be left with a smooth, high-gloss surface, creating a permanent barrier to moisture. The newly finished surface will wear the same as today’s new bathtubs & is backed by our full 10 year guarantee. We have been family owned & operated for over 50 years, with three generations of professional service. No more mold – no more mildew – no more messy re-grouting or repeat caulking of your ceramic tile & tub surrounds. Bathtub re-glazing generally takes a half a day to do. Bathtub and Tile a full day. Aarco Baths will work around your busy schedule Monday through Saturday. The down time for your bathtub is 24 hours. That’s it! Call us for prices or if you have any questions concerning our service. Twenty or more years ago, most bathtubs were made with cast iron or steel in the old tradition of plumbing craftsmanship. They where bigger, deeper, and wider compared to what you get today, they are worth restoring. 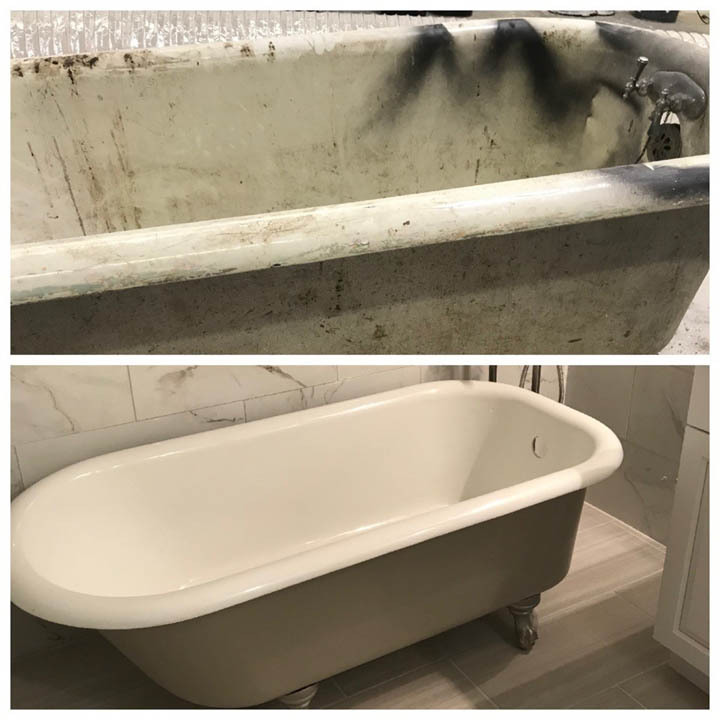 With a reliable re-glazing system, you can bring back the mirror gloss and luster of the original tub and change to the color harmonies of today. It’s the bright way to bring the appearance of your bathroom up to your own contemporary lifestyle without the added expense of replacement. Save as much as 80% of the cost of replacement or the installation of Plastic Tub and wall liners. With replacement, the biggest problem is likely to come when you take out the old tub. Parts of the bathroom tile and walls are torn away. The old plumbing is in the wrong place to fit the new tub. You have to replace your old plumbing. Plastic tub and wall liners can cost the same and is not near the same quality of what you already have. Re-glazing /Refinishing with the Thermo-Glaze system is just a fraction of the cost. All of the re-glazing is done in place without removing even a single piece of tile. You can save the fuss and dust of major renovation as well as several hundred dollars. If you have any questions about our product or service feel free to call us or email us anytime. We look forward to hearing from you!